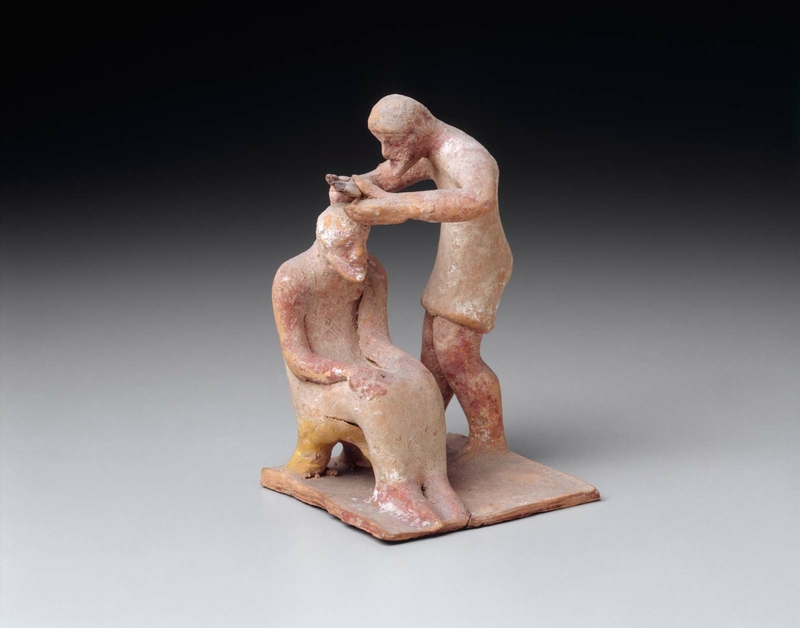 Two bearded men wearing chitons. 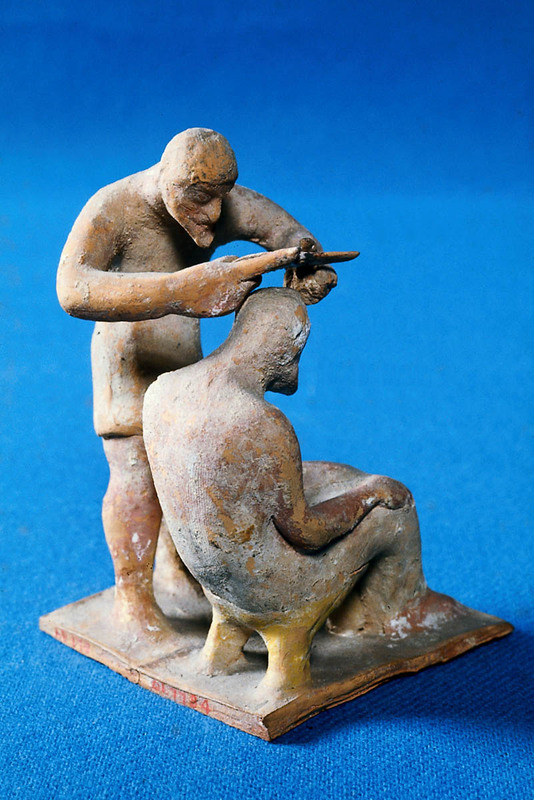 One, a barber, cuts the hair of the seated man. The flesh of both men is dark red. The chitons appear to have been white and the stool, yellow. The base of the group was once white with red paint along the edge.